How to Choose Sunglasses. Sunglasses not only look fashionable, but they also help protect your eyes from the harmful rays of the sun. Choose a lens color based on your preferences and comfort level. Gray doesn't affect color perception; orange-brown lenses are a good choice for those with macular degeneration, since they filter out UV and blue light rays for maximum retinal protection; green lenses distort color less than other shades, such as red or yellow. A darker lens does not necessarily indicate better protection, and lighter-tinted lenses offer better visibility. 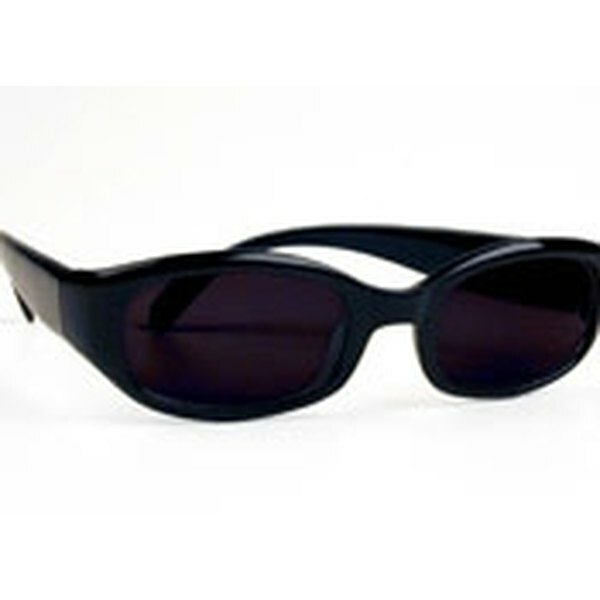 Check labels to find sunglasses that provide the best protection possible. To ensure against mislabeling, you may want to purchase a UV card, a credit card'size device for testing sunglasses. Contact an optometrist, or look for the product online. For added eye protection, wear a hat with at least a 3-inch brim. Do People With Blue Eyes Need to Wear Sunglasses?